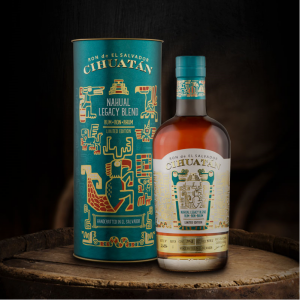 Ron Cihuatan, the first rum ever produced in El Salvador, is expanding its range of handcrafted rums as it grows its international business, including to travel retail. Licorera Cihuatan Vice President Juan Alfredo Pacas tells TMI that Ron Cihuatan takes its responsibility as El Salvador’s rum very seriously. “Ron Cihuatan began as a dream to create an ambassador for El Salvador to the world, because not many people in the world know about El Salvador. We wanted to create a brand which would travel the world,” says Pacas. Ron Cihuatan is truly a craft product; Pacas emphasizes that the company controls the entire process from the seed of the sugar cane all the way to the bottling of its product. “The project started with a local sugar mill, one of six sugar mills in the country, which has almost 100 years of operation. We work hand in hand with independent sugar cane producers providing them with training, technology, and variety that will maximize the return they have for their investment. We process the sugar cane they produce in our mill to produce sugar and molasses. This is where the magic of the rum begins because we hand pick the best molasses to ferment and distill our rum. Ron Cihuatan began aging its rums in 2004, but did not sell a single product until 2015, says Pacas. In Europe Ron Cihuatan is now available in about 10 countries, with a focus on France, Germany, Belgium, and Italy. In the U.S., the rum has been available in California and New York since 2017. The rums have been available in El Salvador International Airport since 2015, and the company is now ready to expand in the channel with the right strategic partner. 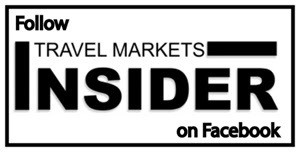 “We know that the travel retail channel is very specialized and requires a very specific approach. We are looking to find a strategic partner. We are currently in negotiations with a global partner who is focused on developing the travel retail channel and values a true craft premium product. I think too many brands are using the word craft very lightly and we want to be known as a brand that is truly craft. Our rum is a really hand-crafted product. We want a partner that can communicate this to the travel retail channel. The company released its first blended and limited edition rum in September, of which there will only be about 6,000 bottles available worldwide. Pacas says the Mayan heritage of El Salvador has played an important role in the development of the entire brand.